Home » Features » Bethesda E3 Stream Review! Bethesda Softworks launched their way into E3 2018 with a bang! Being one of the biggest gaming developers they catered to their international audience by televising their E3 showcase in places all over the world. With one such place being in Sydney, Australia. Beyond Cosplay was able to attend the exciting event and take a few shots of the cosplayers who turned up. Being held at the Hoyts Entertainment Quarter at Moore Park, the event was filled with everything you’d expect at a Bethesda showcase. With cosplay to be seen and prizes to be one, Bethesda Australia really gave it their all, giving fans an epic but at the same time, a homegrown experience. 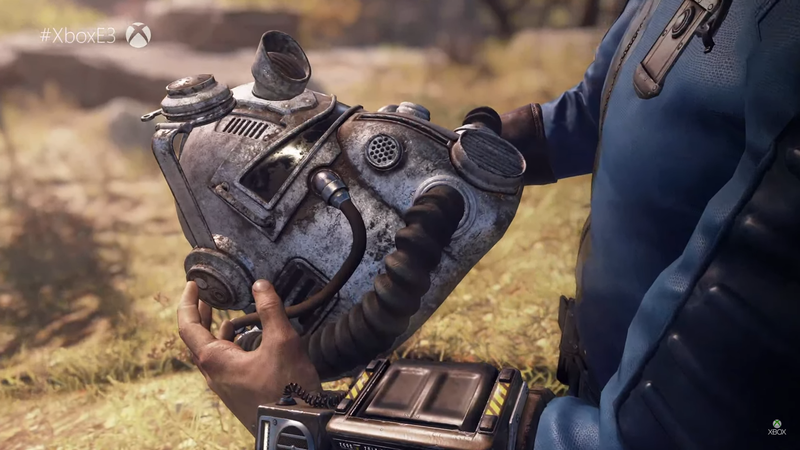 With hit titles such as Fallout and the Elder Scrolls series, Bethesda had a lot of expectation which were completely met, here’s what was covered. With a huge roster of titles being announced, a big point was Bethesda announcing their new Fallout game to be an online shooter hybrid. With fans being already divided about rumours on the switch, it would be interesting to see the direction of series. It’s hard to tell at this point whether or not Bethesda has ‘won E3’ but with a line-up that has both surprised and appeased fans, it would be no surprise if they did.